You must remember this: it's a rare opportunity to see the 75th anniversary restoration. 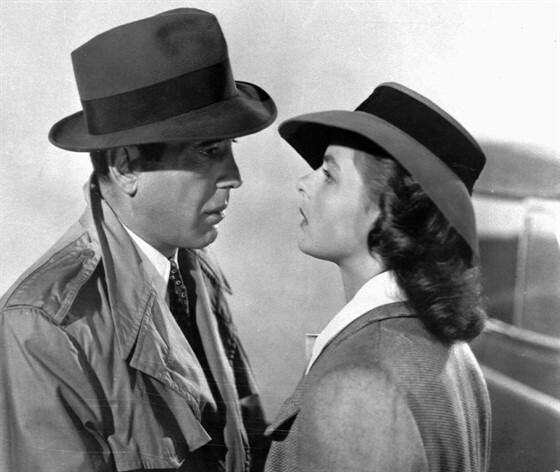 You must remember this: Rick Blaine (Humphrey Bogart) fought with the Spanish loyalists and ran guns in Ethiopia before turning cynical; now he won't play the sap for anyone - especially Ilsa (Ingrid Bergman), the gal who broke his heart. Of all the gin joints in all the towns in all the world, Ilsa walks into Rick's Café Americain and Rick asks pianist Sam (Dooley Wilson) to play their song again: "You played it for her, you can play it for me." Arthur Edeson's chiaroscuro cinematography, Max Steiner's soaring score, Paul Henreid, Claude Rains, Marcel Dalio, Cuddles Sakall and the Sidney Greenstreet / Peter Lorre tandem under director Michael Curtiz's magic wand... they all get better and better, as time goes by. Make it an unforgettable Valentine's Day with a special "Kiss me as if it were the last time" $40 package that includes: 2 movie tickets, 1 rose, 6 chocolate covered strawberries, 1 bottle of wine (Red or White, 750 ML). Only available for the screening on 2/14. Package available here.